Jeff is the Managing Partner of Bertram Capital, overseeing all aspects of Bertram’s investment strategy, execution and administration. Jeff was previously a co-founder and Managing Director of Sierra Ventures, a Silicon Valley venture capital firm with $1.5 billion under management. Prior to Sierra, Jeff served in a variety of operations and R&D management positions at both AT&T and Bell Laboratories. 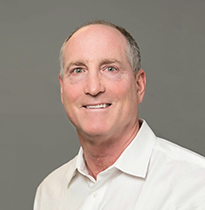 Jeff currently serves as a Director of Spireon (fleet management), Maxcess (manufacturing), Clarus Glassboards (Architectural Glass), Rowmark (Plastics), ECS (E-Commerce - European auto parts) and Creative Drive (E-Commerce Content Management).